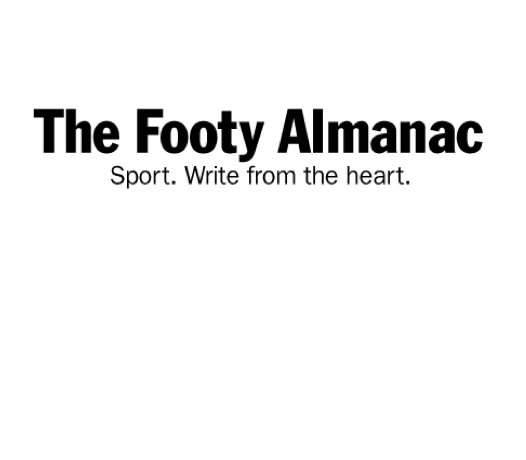 Round 9 – Fremantle v Richmond: Is Freo tanking? – Don Watson – Weasel Words. I’m not so intrigued by what they’re doing. More so; why ? Are they sick of Ross Lyon, a coach who had his contract extended. Working in Fremantle I struggle to contain my glee and have a rational discussion on this topic. When I’m being serious they think I’m being mean. When I’m being mean they think I’m serious. My only defence is that I predicted everything that has happened to them. Wish fulfilment. 1) Like St Kilda 2010 they have a thin veneer of stars and a lot of solid citizens. A month ago when they got flogged they had 16 of the 22 players that narrowly lost the prelim to the Hawks last year. But those out were Fyfe, Sandilands, Johnson etc. Without the cream the milk turns sour very quickly. 2) Ross coaches for tomorrow. Tactical not strategic. I have been banging on for years about the risk of bulking Fyfe up to use him as an inside grunt Rossballer. Taken 5 years off his career. Rushing him back for the finals last year is what made his leg vulnerable to reinjury this year. It was troubling him in the pre season and he still played Round 1. Ross has flogged a willing horse until it dropped. Same with Sandi. That game against the Eagles it was a clear tactic to drop him back into the hole in front of a leading Kennedy. Twice he took good saving marks, but everyone but Ross could see it was an accident waiting to happen. Eventually he got caught under the ball back pedalling into Nic Nait at 100km/h. Cannon fodder? 3) The only good thing about playing under Lyon is winning. It covers a thousand sins, but players hate the relentless running, blocking, chipping, occupy space. They want to be FOOTBALLERS, not mobile safety bollards. When winning stops morale plummets. 4) The rule changes regarding space around the marks and limiting interchanges have favoured attack over attrition. A perfect storm. Caveat emptor. What is there to gain, at this point? Injuries to key players have proven difficult to cover. And so, when you turn up to training as a middling player on a Thursday, what are you thinking? From a team perspective – the year is pretty well shot. So do you focus instead only on yourself? Do you try to increase your value in the market place? If you’re the coach, re-signed for x years, what do you do? In which case the best thing is finish low down in 2016? Every coach wants success and the losing GF’s would obviously be an ongoing sore for Lyon. But he also made it clear when he came to Freo that he had made some bad business decisions, and the financial reward was crucial to his decision to come west. Same with getting a 5 year contract out of Freo in the off season. I think he is an unusually clear eyed/cold blooded person who weighs the risk/reward on everything. Fair enough. Freo’s current season and dim prospects for the next 3 years will reduce his market value. Pav and Sandi are finished and there are no promising talls and key position players on their list. But he’s got 5 year job security at a good price, which most of us would kill for. His residual value may decline but it will cost the Dockers if they want him gone in a year or two, and a club with a promising list that needs toughening up will always look at a 4X GF coach. At least that’s what I guess he tells himself when he goes to bed every night. Bird in the hand. An election year and you’re talking about this nonsense. Fremantle needs to fill up the diesel in the tank of their vessel. But is there any point to tank for them as Ross Lyon doesn’t blood kids or rebuilds on his own? I agree with Peter that he coaches only for tomorrow. I can’t wait the mighty Saints playing Freo this weekend. Go Saints! !